Cool! 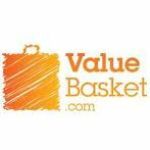 Save an average of 20% on ValueBasket with 4 Coupon Codes, and 10 Deals! Details: Get 10% off the Biloop Cry Translator. Expires on 02/28/2014. Details: Get 10% off for all MYSAGA Mobile Phone + Free Shipping. Ends 02/14/2014. Details: Over 15% Off For All Latest Tablets. Details: Free Shipping to New Zealand. Details: Get $37 off RRP Samsung Galaxy S4 zoom flip cover+. Expires on 01/22/2014. Details: Get 37% off Blue Microphones Snowball iCE Cardioid Condenser. Ends 01/29/2014. Details: Get $73 off RRP MYSAGA D1 Dual-SIM SIM Free / Unlocked. Expires on 02/26/2014 until 12pm AET 26th February 2014, or whilst stocks last. Details: Get $84 off RRP Yujin Robot iClebo Arte Smart Robot Vacuum (YCR-M05-10). Expires on 03/05/2014. Details: Get $58 off RRP Marley Jammin Revolution headphones. Expires on 02/19/2014 or while stocks last at 12 pm AET. Details: $71 off Garmin Swim Watch. Ends 12/25/2013 at 12 pm AET. Details: Get $45 off RRP AYL BSPK202 Portable Bluetooth Speaker. Expires on 02/12/2014 at 12pm AET or while stocks last. Details: Free shipping For All Orders.